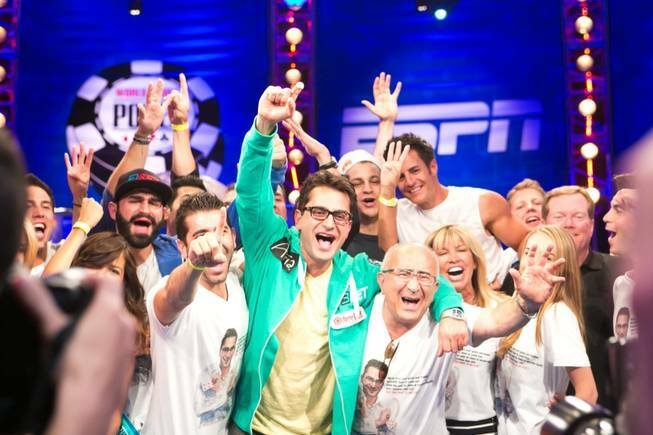 Big 1 for 1 Drop: Antonio Esfandiari wins record $18.3m prize! July 3rd will go down in Poker and Sporting history – it was a day that saw WSOP’s “Big One for One Drop” award the biggest ever cash prize (over $18.3m! ), give over $5.5m to charity, and award more prize money in a single day than any other poker tournament has done in it’s entire duration, making it the richest day in poker history! To be precise, the top nine WSOP Big One for One Drop finishers collectively received a staggering $42,666,672! Oh, and did we mention this tournament had an astonishing $1,000,000 buy in!? WSOP’s The Big One for One Drop was a poker tournament of massive proportions, incorporating an unprecedented charitable element into the staggering multi-million dollar prize pool event. History was made when Antonio Esfandari took down the WSOP Big One for One Drop to walk away with a record breaking $18,346,673. The prize represents the largest sum of money ever awarded in a single sporting event! 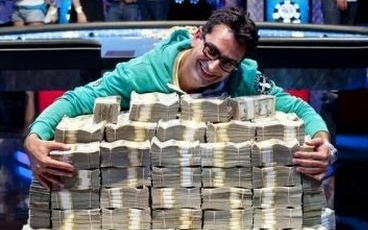 Antonio ‘The Magician’ Esfandiari – a pro poker player of Iranian descent famed for his elaborate chip tricks – had already bagged himself one WSOP Bracelet at the 2004 $2,000 Pot Limit Hold’em event, but Tuesday saw Esferandi take the first ever platinum WSOP bracelet in addition to the record-breaking cash prize. Antonio Esfandiari battled his way through a field of 48 players, 28 of whom were fellow poker pros, the rest made up of some of the finest financial minds and even a few billionaires – and given that nine out of the first eleven players to bust out were poker pros, those businessmen and entrepreneurs were clearly not merely fish with more money than sense. In the end it was Esfandiari and 26-year-old English poker pro Sam Trickett left at the final table. Trickett was looking for a gold WSOP bracelet, and although he might not have walked away with the thing he came for, the $10,112,001 consolation prize is bound to ave softened the blow. The moment Antonio Esfandiari won huge tourney’s final pot, he was visibly overcome with emotion and embraced his father – for whom it was the first time watching his son play live. Antonio’s brother then joined them for possibly the richest hug in history. Below are the official final results for the WSOP Big One for One Drop. 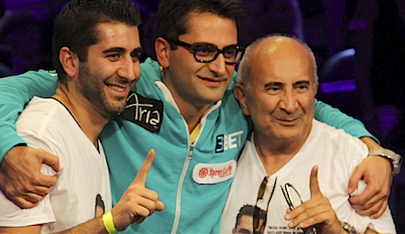 Home » Rakeback News » Big 1 for 1 Drop: Antonio Esfandiari wins record $18.3m prize!